Prime Minister Justin Trudeau is warning of mass disruption and job losses on both sides of the border if Donald Trump follows through on his threat to impose auto tariffs, as NAFTA talks resume in Washington today. Prime Minister Justin Trudeau is warning of "massive disruption" and job losses on both sides of the border if U.S. President Donald Trump follows through on his threat to impose auto tariffs, as NAFTA talks resumed in Washington today. Foreign Affairs Minister Chrystia Freeland returned to the U.S. capital to continue negotiations with her counterpart, U.S. Trade Representative Robert Lighthizer, which she described as "constructive." "The atmosphere continues to be positive and cordial. There is a lot of good will and good faith on both sides," Freeland said Tuesday evening after meetings wrapped for the day. "Achieving that deal is going to require good will, good faith and flexibility on both sides, and we think that's eminently possible." Freeland then flew back to Canada, saying it was important for her, NAFTA negotiator Steve Verheul and Canada's ambassador to the United States, David MacNaughton, to brief Trudeau directly. Freeland will join her Liberal colleagues in Saskatoon where the party is holding a caucus retreat. It is unknown when she and her negotiating team will return to Washington. Speaking to a Winnipeg radio station earlier in the day, Trudeau again said that Canada would only sign a deal that is in the country's best interests. Asked about President Trump's vow to slap tariffs on Canadian auto imports if no NAFTA deal is reached, Trudeau insisted he won't bow to threats. "I think it's something that we obviously have to be aware (of), that the president is contemplating, but we don't negotiate differently because of pressure tactics like that," he told 680 CJOB radio. "We remain focused on what's in the interests of Canadians and what's in the interests of our workers and our country's economy." 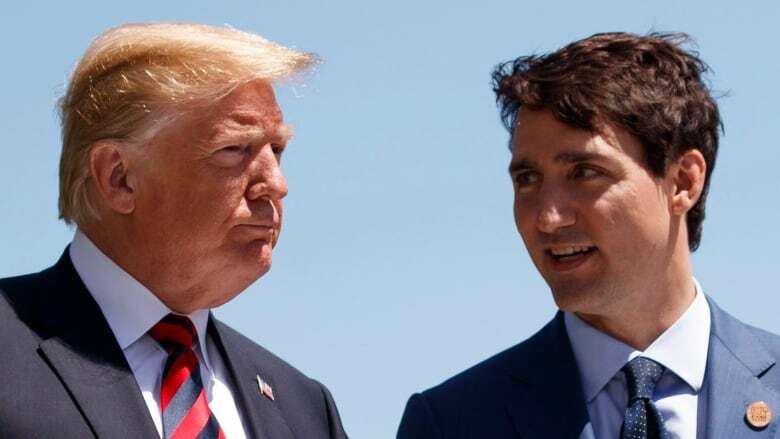 Trudeau warned that Trump's threatened "punitive tariffs" would be devastating not just to the Canadian auto industry, but also to American automakers. "It would cause a massive disruption and lots of layoffs in the United States," he said. 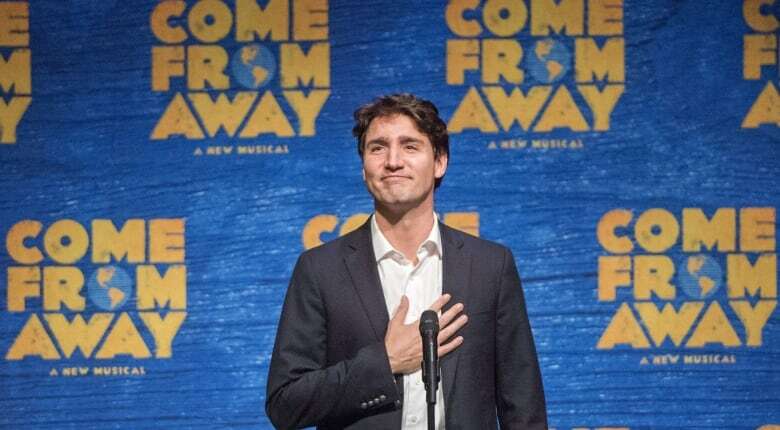 At an event later in the day in Winnipeg, Trudeau again said that any tariffs on the auto sector would have a significant impact on the American and Canadian industries because of the close integration of their supply chains. Former prime minister Brian Mulroney, who is working actively as an adviser to Trudeau on the NAFTA talks and is also a personal friend of Trump's, said Canadian politicians must drop their partisan swords when it comes to negotiating trade deals. "There's no Conservative way or Liberal way to negotiate the free trade agreement with the United States of America. There's only a Canadian way," he said. Mulroney also took a jab directly at Trump, comparing him unfavourably to former U.S. president George W. Bush. "If you want to see a contrast between a civilized, modest, thoughtful, generous leadership and what you're seeing today, there you go," he said. Kelly Craft, the U.S. ambassador to Canada, worked to downplay the divisions and stress the two nations' long history of mutual support during a speech in Gander, Nfld., to mark the 17th anniversary of the Sept. 11 terrorist attacks. "Forget what you read about NAFTA negotiations and Twitter wars, that's not who we are. Sure, it's business and it's important, but Gander is the place that — in a snapshot — illustrates the Canada-U.S. relationship," she said. Gander played host to thousands of stranded travellers as planes were grounded and rerouted after the attacks. The residents' compassion, hospitality and human kindness inspired the hit musical Come From Away. In her speech, Craft also recalled getting a briefing last year by generals in Colorado with the North American Aerospace Defence Command, who told her that NORAD is the United States' only truly joint command in the world. "In fact, it was a Canadian general that was in charge of U.S. airspace that particular morning. Let that sink in," she said. "A foreign military official in charge of keeping us secure. That could only happen with the total trust and mutual respect of the closest of allies." The U.S. Department of Commerce has deployed an obscure clause in U.S. trade law that allows the president to impose tariffs on foreign imports that "threaten to impair the national security" to impose a 25 per cent tariff on steel and a 10 per cent levy on aluminum from Canada and other countries. Heading into talks in Washington, Freeland paused to remember those killed in the "tremendous tragedy" 17 years ago, and said it's a reminder of the strong ties between the two countries. "Remembering today, and what happened today, maybe that helps us all put into perspective the negotiations that we're having, and also put into a little bit of historical perspective the importance and significance of the relationship between Canada and the United States," she said. "At the end of the day, we're neighbours, and at the end of the day, neighbours help each other when they need help." Freeland began the day's talks by expressing sincere condolences to Lighthizer on behalf of Canada on the anniversary of Sept. 11. NAFTA negotiations are productive, constructive and cordial, with goodwill on both sides, she said. Talks are now in a "continuous" state, with negotiators in constant touch with each other between high-level talks with decision-makers. "We are going to work as hard as it is humanly possible on this negotiation to get a good deal for Canada," she said. Seven Democrat members of Congress have written to Lighthizer demanding answers on how his administration intends to proceed with a U.S.-Mexico trade agreement if the U.S. does not reach a deal with Canada. "While we appreciate that it takes time to iron out the final details and text, we believe it is not in the spirit of TPA (Trade Promotion Authority) to send Congress an official notification letter until all three parties have formally agreed to move forward together with an updated trilateral agreement," the letter dated Sept. 10 reads. Lighthizer notified Congress of the administration's intention to sign a trade deal with Mexico, and with Canada "if it is willing," by late November. The letter notes that the full text must be released 60 days before the agreement is signed, and asked if the U.S.-Mexico text will be made public during that time frame if no deal is reached with Canada.